Level 2 consists of five modules à six days of residential training (60 hours) at Guru Ram Das Aquarian Academy plus face2face or online study group meetings in between the modules. Learn to speak and listen from Shuniya. Practice yogic counselling. Explore chakra communication and how to uplift a conversation. Develop your voice as a teacher and your communication with the Divine. Learn to be authentic with yourself and with others by relating from and to the soul. Heal the wounds of love. Understand your own polarities and the game of male/female interaction. Become a living manifestation of your Infinite. Understand your lifeline and explore how changes and losses have shaped your life. Learn how to embrace crisis and transformation as a tool to manifest the essence of your life. Study yogic life style technologies as support systems for ongoing transformation. Understand mechanisms of stress and cold depression. Learn to regenerate your energy level in a natural yogic way. Practice vitality as a balance of energy, calmness and sensitivity. Take life choices that support your vitality. Explore your mind, its functions, facets and projections. Recognize your tendencies and experience those meditations that transform the mind into a servant of the soul. Learn to be still, intuitive and creative by developing your meditative mind. For international participants it is possible to register for single modules. For German participants it is not yet possible as a standard procedure. Please contact us if your personal situation requires reviewing the situation. Amrit Kaur has been teaching Kundalini Yoga since 1991, specialising in Yoga for Women and Yogic Psychology. She practices Sat Nam Rasayan, is the co-founder of Guru Ram Das Gurdwara Berlin and an experienced Pregnancy Yoga Teacher Trainer. Born in England and living in Italy, Avtar Kaur has studied with Yogi Bhajan since 1987. She is a Sat Nam Rasayan Healer and the creator of Shakti Dance. Dharma Singh has been teaching Kundalini Yoga since 1985. He has studied religious education and is a trained healer with International Health Research Network. He is the co-founder of Horizonte Funeral Home. Hari Jiwan Singh has been teaching Kundalini Yoga since 1982 and has been a practicing naturopath (Homeopathy, Visual Training, NLP) since 1980. He is the author of Kundalini Yoga – In accord with your Self & the World and Yoga and Visual Training. Born in Hamburg, Pritam Hari Kaur grew up in Asia and, back in Hamburg, worked for 3HO Europe in the 1980s. She is the co-founder of a Health Food Business and of Kundalini Yoga Teacher Training in South Africa. She is currently living on an Eco Farm in the Cape. Author of Kundalini Yoga Fan, a Yoga Book in pictures. Sat Hari Singh has been a student of Yogi Bhajan since 1981. 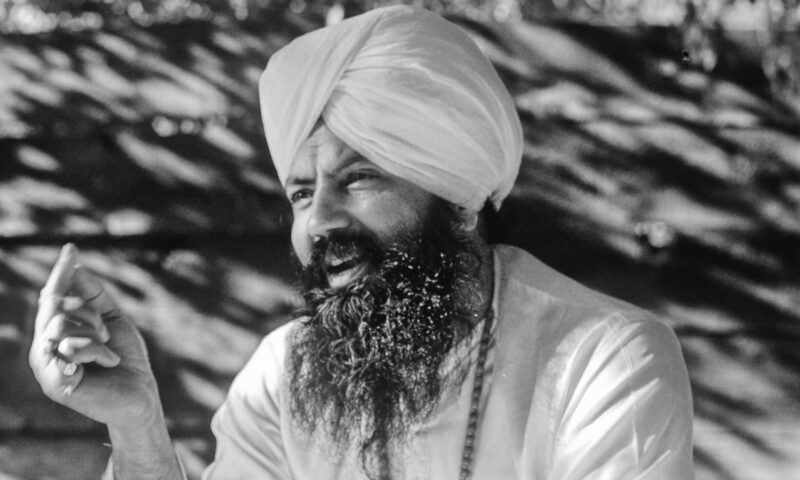 He is one of the pioneers of Kundalini Yoga and Sikh Dharma in Germany & Europe, a dedicated spiritual teacher and initiator of dharmic projects. He is a well-known Sacred Chant artist and author of many books. 2.400€ including registration fee, training manuals & DVD’s. Registration fee of 200€ plus 27 monthly instalments of 85€. From SEPA countries instalments will be collected via direct debit. From non SEPA countries instalments have to be sent via banc transfer. Registration fee of 200€ (to be paid only once) plus 480€ per module. The final examination fee of 150€ is not included in options 1-3. Full organic, vegan/vegetarian & standard lodging: 345€/ Module – will be collected on site for each module at Guru Ram Das Ashram. Ask for a reduced participation fee if you are repeating a Level 2 module/cycle. 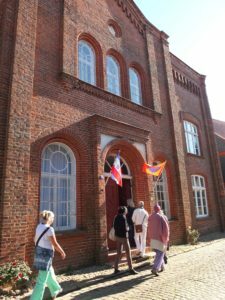 Guru Ram Das Aquarian Academy is a spiritual centre with a growing residential community 75 km (1 hour away by car/regional train) southeast of Hamburg. The Academy is cooperating with neighbouring Guru Ram Das Ashram.